It is nice to have a steady friend to lean on when things start to unravel. If you need help keeping things in place, look to Diana. She’s cool, calm and collected making her just the girl you need to help secure every stitch. 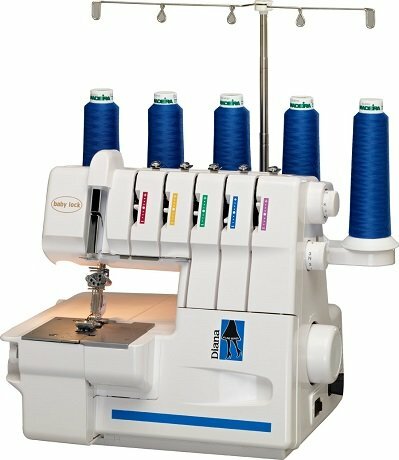 This easy-to-use serger is perfect for cover stitching, chain stitching, rolled hems and more. Keep her around and you’ll never stress about giving projects a finished look; Diana’s got you covered.